According to the defect report, the cord originally provided with these vehicles are missing a thermistor used to identify over temperature conditions. If the defective cord is used in combination with an AC outlet that is not on a dedicated circuit, is damaged, worn or corroded, it could experience an increased contact resistance and could overheat. Early indicators that a problem exists include: incomplete or slow charge cycles, inability to charge, burning odors or visible melting damage. Dealers will replace the current cord with a new 120V convenience cord with a thermistor. Owners wanting more information about the problem can contact Ford customer service at 1-866-436-7332. Ford’s number for this recall is 18S24 and the NHTSA campaign number is 18V-592. Posted in Electric Cars, Ford, Lemon Alert. Posted in Electric Cars, Lemon Alert, Volkswagen. Posted in Electric Cars, Land Rover, Mercedes Benz. Posted in Automobile Emissions, Automotive News, Electric Cars. Posted in Daimler, Electric Cars, Lemon Alert, Mercedes Benz. Posted in Electric Cars, Lemon Alert, Toyota. Does California Need A Per Mile Road Tax? As the use of electric and hybrid vehicles increase, and the fuel efficiency of newer vehicles becomes better, states are finding that the per-gallon fuel tax is no longer generating enough income to fund road maintenance and operations. 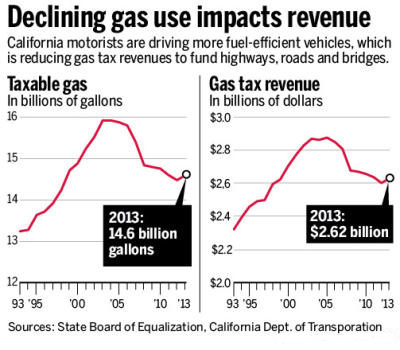 In response to the declining revenue, late last year California legislature approved a Bill to examine the implementation of a road usage charge. Posted in Automobile Emissions, Automotive News, Electric Cars, Hybrid Automobiles.